SenSura Colostomy Bags offer maximum security and discretion. The unique SenSura double-layer adhesive is permanently fixed to the pouch. To change the pouch, the whole appliance is removed and replaced. Even with frequent changes, painless adhesive removal does not leave residue on the skin and minimizes mechanical trauma. 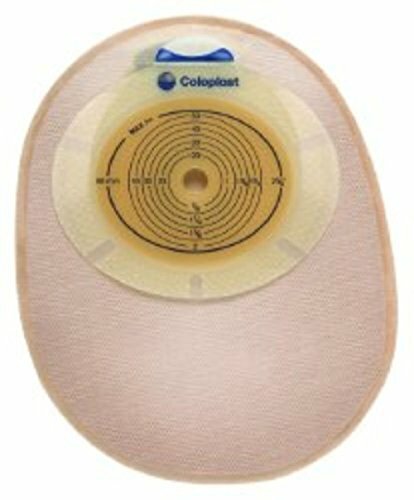 Clear, blue cutting guides in relevant sizes make it easier to cut the adhesive accurately to ensure a safe seal around the stoma. The bag has an integrated wave filter that allows the air to flow, keeping the bag discreet. The filter label can be opened or closed to reduce the effects of pancaking or ballooning.